New state laws around the country are in place not allowing any persons under the age of 18 to use a tanning bed. 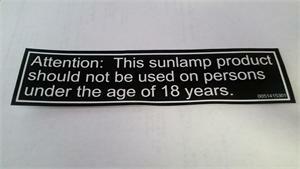 This sticker can be used on your tanning device and meets state requirements in most states. 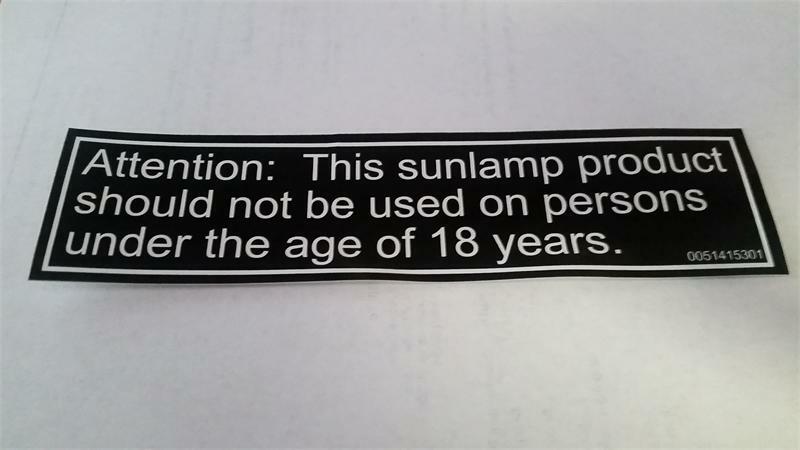 Disclamier: Please verify with your states laws as the wording that is required on the sticker prior to ordering!